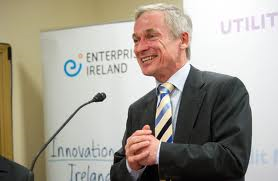 The attack comes after Enterprise Minister Richard Bruton travelled to Sligo earlier this week to unveil what he described as a 28,000 job programme for the region over the next five years. However, the announcement is not turning out to have the ‘boom and bloom’ effect Fine Gael presumably expected it would have. Asking not to be named, the business leader said Fine Gael and Labour had given the region the cold shoulder on industrial and other desperately needed investment over the last five years. They hit struggling rural areas with income cuts and damaging service sundown on nearly every front, most notably the cut back in garda staff and stations. 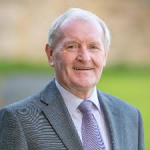 The Sligo Senator said, “I would have expected a bold and radical plan for the region given that it has historically lagged behind. But instead Fine Gael and Labour have proved yet again that they are utterly incapable of taking a strategic approach to the north-west region. Currently, speculation is growing that Fianna Fail is planning to coalesce with Fine Gael in a bid to keep Sinn Fein out of government after the next election. 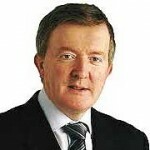 The High Court has meanwhile given local Fine Gael TD, and former Coalition Minister, John Perry permission to serve his party with notice of his intention to seek injunctions aimed at securing his selection as a party candidate for Sligo- Leitrim in the coming general election. A party Convention only selected sitting TD Tony McLoughlin and former Oireachtas member Gerry Reynolds to contest the election but Mr Perry now wants their ratification stalled.